..... the most picturesque venue for Tennis in Brisbane! We invite you to become a member of Samford Tennis Club and enjoy the many benefits our Club offers including the most affordable access to premium tennis court facilities in Brisbane. Our members revel in the friendly competitiveness of tennis played in the picturesque rural atmosphere of Samford Valley on the outskirts of Brisbane, Australia. 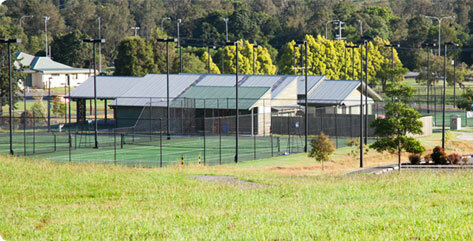 Samford Parklands is set in a beautiful rural retreat and is home to our four top of the range Plexicushion Prestige courts in Tru-Blue Australian Open colours, graded at the same medium/fast pace rating as the Brisbane International and Australian Open courts. These are real Plexicushion courts unlike some other venues that paint their courts to look like Plexicushion. 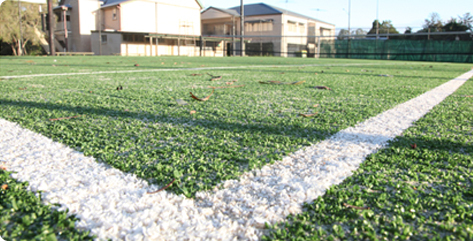 Our Samford Village courts also have a top of the range premium artificial grass surface for a more comfortable play for our young learners and our older social players. Samford Tennis Club is registered for Get Started a program from the Queensland Government’s Get in the Game initiative. Get Started assists children (5 to 18 years) who cannot afford to play tennis by providing an annual $150 voucher to cover membership costs. Local children can use these vouchers at Samford Tennis Club to receive Gold Membership to our Club, which will provide the child a FREE tennis racquet and practice balls and FREE access to our tennis courts during the day and only $5 per hour at night!. Click here for more information on Get in the Game, and the Get Started program.